Selective apartments and flats for sale in Bahrain. Those flats are suitable for residential and investment purposes. You can narrow down the apartments by selecting the cities, the maximum price, and the minimum price. Many of the displayed prices are negotiable. If you would like to have better prices, just call us on the featured number and one of our sales representatives will sort it out for you. We offer also furnished and unfurnished apartments for you. Of course furnished flats are pricier than the unfurnished, however, they all feature upscale pieces of furniture and house appliances. 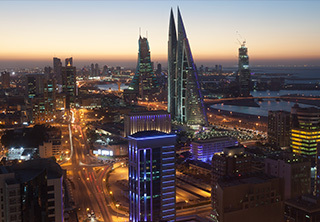 There are many hot areas in Bahrain suitable for buying an apartment. Buying an apartment in Seef, for example, is absolutely a profitable option, also areas like Juffair, Amwaj Island, Reef Island, Busaiteen, and Durrat Al Bahrain are very advisable. Just write down the specialities you would like to find in your new apartment, pinpoint your needs, then check our property lists for the best options available in the kingdom. Property consultation services are available also provided by our well-experienced property consultants who enjoy an extended experience in Bahrain property market. You can more about property investment in Bahrain by checking our article laying down the steps of buying a property in Bahrain. Find the property that best suits your needs and call us now.